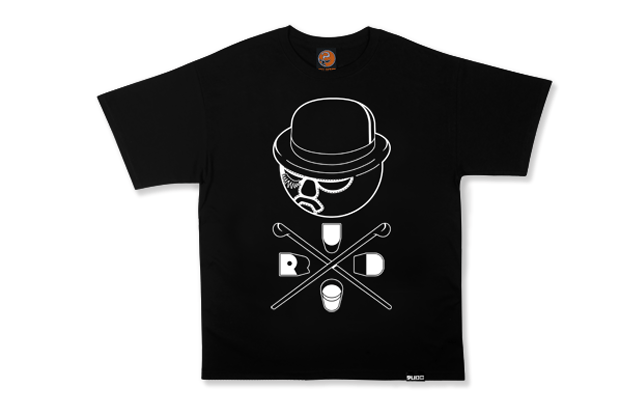 The RUDO Signature Line returns with a special edition release for the Halloween season. 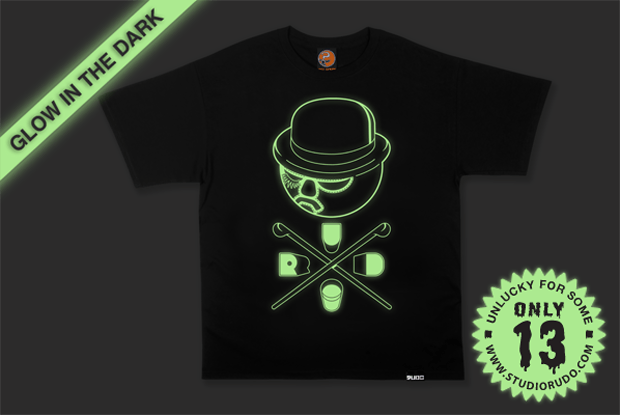 Inspired by Stanley Kubrick’s cult classic film ‘A Clockwork Orange’, itself an adaption of the original 1962 Anthony Burgess novel, the new drop fuses RUDO’s illustrative style with something a little more sinister. RUDO’s masked character lends well to the styling of the early 70’s film and a few simple changes have changed the brand’s distinct logo into something quite different, yet instantly recognisable. The tee is available in two versions, both on black 100% cotton T-shirts. The regular edition comes with a single colour white print, but the ultra-limited special edition comes printed with glow in the dark ink, white in the day and illuminated in darkness. The glow in the dark edition is limited to just 13 prints. This one should speak to fans of the notoriously violent film, those with a fondness for the ‘darkest’ time of year, and particularly, those who get something out of limited edition, themed product. This nicely themed drop from RUDO shows some real thought into the timing of the brand’s releases as opposed to unpredictable, random drops. Pick yours up from tomorrow (October 1st) from Parts Unknown.